The fully assembled controller board. 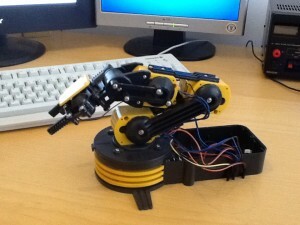 You can have a look at the USB Robot Arm Controller page for more information. 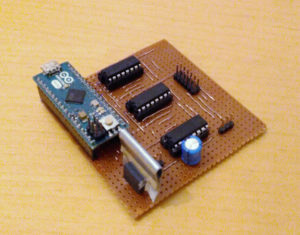 The article currently focuses mainly on the electrical design of the board. I might add a second page later this year that will focus more on the controller software for the robot arm.